Learning current best practices from healthcare data and anticipating future improvements pose major challenges for researchers and practitioners alike, says Professor Rema Padman. As information, communication and decision technologies assume a critical role in healthcare delivery and management, new opportunities have opened up for applying analytical models to address these challenges. “Evidence-based medicine is the conscientious, explicit and judicious use of current best evidence in making decisions about the care of the individual patient,” wrote David Sackett and co-authors in a 1996 article (p 312). In the case of widely prevalent health conditions such as heart disease or diabetes, high quality evidence is available to make the best treatment decision for a patient. On the other hand, for rare conditions such as Amyotrophic Lateral Sclerosis (ALS) or Lou Gehrig’s disease, the available evidence may be limited. Evidence-based practice translates the best available evidence using a thoughtful and transparent approach that evaluates the credibility and reliability of the evidence and attempts to accommodate the personal values, preferences and beliefs of individual patients. The overall goals are to reduce cost and variations in care and improve health outcomes and patient satisfaction. A 2015 Siemens Healthcare report noted that Indian doctors rely heavily on the established protocol for many treatments, which reduces waste and helps prevent mistakes. Providing seamless access to actionable evidence has the potential to produce further improvements. The gold standard for generating scientific evidence in medicine is Randomised Clinical Trials (RCTs), but the consensus opinion of medical experts is also widely used to synthesise knowledge and develop guidelines for translating the evidence to routine practice settings (Zhang and Padman 2015). It is a highly labour-, knowledge- and time-intensive task to compile the evidence to develop such best practice guidelines and disseminate them to clinicians and patients at the point of decision making. As both the volume of medical information and patient data explode over time, it is increasingly important to ask the critical question – can we learn evidence from the actual practice of care delivery instead of relying solely on RCTs or consensus opinions? Despite being the largest service sector in many global economies, healthcare lags behind other sectors in efficiency and innovation when it comes to both patient care and service organisation (Jung and Padman 2015: 297). One argument may be that scientific evidence in clinical medicine is both incomplete and constantly evolving. Practitioners primarily rely on heuristics derived from accumulated experience and knowledge. These short-cuts are not always based on hard evidence, leading to tremendous variations in care delivery and quality. This may, in part, explain the rapidly increasing healthcare costs and decreasing quality, safety, efficiency and satisfaction. Consider medical technologies such as imaging and electronic health record systems, consumer technologies such as smartphones and wearable activity trackers and digital therapeutics or behaviour modifying apps to treat specific health conditions via games, personalised coaching. Significant advances in these areas, combined with the rapid developments in advanced analytics of high dimensional, high volume, and complex healthcare data are powering a transformation of healthcare delivery. For centuries, medical care has mostly been based on measurements taken during a clinical encounter, whether in the home of the patient or in a hospital/clinic environment. Scientific evidence in clinical medicine is both incomplete and constantly evolving. Practitioners primarily rely on heuristics derived from accumulated experience and knowledge. These short-cuts are not always based on hard evidence, leading to tremendous variations in care delivery and quality. However, new computing and communication technologies allow patients to self-monitor or be monitored remotely. In turn, they also permit healthcare providers to gain a more holistic understanding of a patient’s longitudinal health status across the continuum of care. This is currently not possible from the snapshot of information taken during the hospital encounter. Perhaps one of the most valuable capabilities of patient portals is the ability to provide asynchronous services to treat patients for non-urgent health conditions. This offering provides patients with the ability to complete and submit basic information for designated non-urgent, episodic illnesses and receive an online evaluation from their physician, providing convenient, timely, and comprehensive access to care. Furthermore, this approach can evolve into a service that assists patients in managing chronic health conditions. By providing the tools to enter data such as blood glucose levels, weight, and blood pressure, and resources needed to monitor and control their health conditions over time, patients have an improved ability to actively participate in their healthcare and achieve more favourable health outcomes. These telemedicine applications are powered by clinical information systems such as electronic health records, medication prescribing and order entry systems, and clinical decision support systems. Alongside, the rapid growth in consumer devices such as smartphones, wearable sensors and Internet of Things (IoT) devices are enabling a range of mobile applications such as for eye care, and the resulting treatment data. As reported by the World Health Organization, a staggering 250 million people in the developing world are visually impaired, with limited access to ophthalmologists and appropriate treatments. Smartphone-based apps offer opportunities for early diagnosis of conditions such as cataracts and macular degeneration. Social media platforms such as PatientsLikeMe and discussion forums on specific health conditions such as diabetes are also compiling large volumes of user-generated health data from new settings, including the home and the workplace. Chronic, preventive and wellness care can be delivered to these settings via gamification apps, streaming vitals and time and location stamped records of medication compliance, exercise routines and food habits that monitor consumers’ general health and lifestyle habits at a very granular level. Analysis of the resulting data from clinical and consumer sources can generate new evidence with the potential to change the current paradigm of healthcare delivery. These data are complex, diverse and messy, surpassing the human mind’s capacity to process it without aid. This makes it difficult to ensure that the appropriate information is extracted and applied to individual patients or a population exactly when it is needed. Analytic methods such as statistics, economics, operations research, machine learning and data science offer the opportunity to support data-driven healthcare decision making from the perspectives of patients, clinicians and other stakeholders. Innovative methods and tools are being developed to support a range of decisions, including responses to different treatment regimens, individual and population-level risk assessments, detecting anomalies in diagnoses, treatments and behaviours, and preventing deterioration in patient behaviour or health status. Supporting patient-provider communication and shared decision making via intelligent reminders, notifications and informed guidance and providing smart care delivery operations for increasing satisfaction, efficiency and quality of care are further capabilities being architected. Time-constrained clinicians have to address clinical and cognitive challenges in assessing and responding to the adverse health risks and related complications experienced by many patients (Harle, Neill and Padman 2012). These are complex, high-dimensional, information-processing problems. Innovative algorithms and tools which combine statistical machine learning, information visualisation and electronic health data may reduce clinicians’ information processing load. In turn, they may improve the ability to assess the risk of disease onset and related complications. Telemedicine applications are powered by clinical information systems such as electronic health records, medication prescribing and order entry systems and clinical decision support systems. Information visualisation uses the high bandwidth processing capabilities of the human visual system to more efficiently perform interactive data exploration and glean important insights. Integrated with existing approaches to clinical data management and evaluation, intelligent visual data analysis tools may provide practitioners with usable systems that deliver critical information and new insights for responding to chronic disease risk among their patients. An interactive interface through which clinicians can visually access, explore and compare risk predictions for a large cohort of patients in the context of many risk factors may make risk predictions more relevant, interpretable and clinically actionable. Aggregating results over patients, explaining the relationships between individual risk factors and generally presenting information in a clinically useful format have the potential to meet the information needs of clinicians and patients and improve shared decision making (Harle, Neill and Padman 2012). Clinical pathways translate the best available evidence to local practice workflows, reflecting patients’ co-progression of disease with treatments and related interventions in a given clinical setting. They aim to reduce variations in treatments and support clinical decision making when faced with multiple or ambiguous care options, thus improving care quality and controlling costs. However, there are limited numbers of efficient, automated methods to create actual care delivery pathways for identifying best practices and targeting practice change. Data-driven, practice-based, clinical pathway development processes discover candidate clinical pathways for diseases using detailed demographic and treatment data captured in Electronic Health Records (EHR) as part of routine outpatient care delivery. A patient’s multidimensional clinical records capture and collate information on each visit’s purpose, medications, procedures and diagnoses. These are then modelled into one-dimensional sequences using novel constructs (Zhang and Padman 2015). Analysis and clustering on visit sequences identify distinct types of patient subgroups. Significant transitions can be extracted and visualised into clinical pathways across subgroups. Common pathways within each subgroup can show typical disease progression. Other pathways can illustrate sustainable improvements in patients’ health conditions. These can thus be extracted from the visit sequences of significant patient subgroups. Pathway learning methods enable better management of chronic health conditions by patients and efficient medical practice review by clinicians. Medication Reconciliation is a major patient safety goal in the management of medication errors and prevention of adverse drug events. The medication reconciliation process supports the task of detecting and correcting potential mistakes in a patient’s medication list so that physicians can make correct, consistent, timely and safe prescribing decisions. However, maintaining an accurate list of patients’ medications is a very challenging task. The current solution is a process-driven approach. Given the availability of vast amounts of prescription and other medication data in the electronic records of patients, a data-driven approach to addressing these discrepancies through the use of recommendation algorithms, similar to Amazon and Netflix suggestions, has considerable potential to improve the accuracy of the medication list (Hasan et al. 2011). Clinical pathways translate the best available evidence to local practice workflows, reflecting co-progression of disease with treatments and related interventions in a given clinical setting. Tracking the progression of the disease and identifying high-risk patients with multi-morbid conditions offer new opportunities for applying innovative data-driven approaches for population risk stratification and profiling (Burckhardt et al. 2016). Chronic diseases, in particular, evolve over time from the onset of a particular stage for an identified patient population. Analysing the distinct trajectories of disease development and their frequencies, the relationship of these trajectories to patient characteristics and the impact of complications of the disease on the trajectories of disease progression are important. They can help uncover typical progressions of chronic conditions and develop targeted, proactive interventions for patients in all risk groups. With the increasing use of electronic data for patient management, detailed individual information being documented over time has grown rapidly. Leveraging this highly granular, longitudinal data for both differentiation of patients by disease progression stages and the integration of time-dependent covariates into models is challenging. Nonetheless, it offers great potential for more accurate prediction estimates. In particular for chronic diseases, where individual data is often collected multiple times per year, the integration of such longitudinal observations is essential. Dynamic models allow updating a prediction each time an individual progresses in time and calculate the probability of survival for the patient at any time of interest to a decision maker (Paige et al. 2018, Burckhardt et al. 2018). Digital medicine is increasingly incorporating mobile games, virtual reality (VR) and augmented reality (AR) with science-backed evidence as therapeutic treatments for specific conditions such as attention deficit hyperactivity disorder (ADHD) (for example, Project: EVO) and pediatric obesity (for example, fooya!). These technologies embed artificial intelligence and machine learning methods to adaptively respond to game players’ actions and nudge behaviour modification toward healthier decisions and lifestyle choices. Analytics of game playing data can help us design better interventions in the game environment for players’ behaviour formation and change, understand the mechanisms underlying these changes and improve overall gameplay experiences. The development and utilisation of mathematical models and data analytic methods to increase ‘consumability’ of healthcare informatics solutions in actual care delivery settings have the potential to enhance patient and clinician satisfaction, patient safety and health outcomes. Discovering actionable value from large amounts of healthcare data is critical for supporting informed decision making. Ready usability by healthcare providers and patients can increase care efficiency, facilitate a clear understanding of the diseases and allow visualisation of treatment plans. In designing technologies and tools that meet end-user requirements, many quantitative methods allow approaches that are data-driven, user-centred and easily generalisable to meet different goals. However, a number of challenges exist. These include data fusion from multiple, non-standardised, heterogeneous devices and a diverse array of applications. Developing and validating problem-driven prediction, visualisation and associated methods for many critical medical decisions also need attention. Finally, there are the tasks of implementing and evaluating the interventions and recommendations provided by the analytics and integrating them into organisational and consumer decision-making activities. An important organisational challenge is how to address human-computer interaction issues that have impeded the efficient integration of healthcare information technologies into clinical workflows. Reducing the physical and cognitive workloads of all point-of-care decision makers is necessary to improve adoption and sustainable use of the new digital innovations and data-driven analytics (Gartner, Zhang and Padman 2018). Furthermore, change management strategies to transform the workforce via optimal training and technical support are also crucial for operational improvements. Dynamic models allow updating of predictions each time an individual progresses in time. The Lancet reports that healthcare spending globally will increase from US$9.21 trillion in 2014 to more than $24 trillion by 2040, with differences in spending between high and low-income countries persisting over time unless critical and actionable policy interventions are implemented (Dieleman et al. 2016). A key policy intervention involves the development of payment and reimbursement mechanisms that leverage data-driven evidence and facilitate alignment of incentives among all the stakeholders in the industry, particularly the payers and providers. The goal is to ensure that the new data-driven innovations and tools are both efficient and effective for improving health and healthcare for all. Burckhardt, P., Nagin, D.S. and Padman, R., 2016. Multi-trajectory models of chronic kidney disease progression. In AMIA Annual Symposium Proceedings, p. 1737. American Medical Informatics Association. Dieleman, J.L., Schneider, M.T., Haakenstad, A., Singh, L., Sadat, N., Birger, M., Reynolds, A., Templin, T., Hamavid, H., Chapin, A. and Murray, C.J., 2016. Development assistance for health: past trends, associations, and the future of international financial flows for health. The Lancet, 387(10037), pp.2536-2544. Gartner, D., Zhang, Y. and Padman, R., 2018. Cognitive workload reduction in hospital information systems. Health Care Management Science, 21(2), pp.224-243. Harle, C.A., Neill, D.B. and Padman, R., 2012. Information visualization for chronic disease risk assessment. IEEE Intelligent Systems, 27(6), pp.81-85. Hasan, S., Duncan, G.T., Neill, D.B. and Padman, R., 2011. Automatic detection of omissions in medication lists. Journal of the American Medical Informatics Association, 18(4), pp.449-458. Jung, C. and Padman, R., 2015. Disruptive digital innovation in healthcare delivery: the case for patient portals and online clinical consultations. The Handbook of Service Innovation, pp. 297-318. Springer, London. Paige, E., Barrett, J., Stevens, D., Keogh, R.H., Sweeting, M.J., Nazareth, I., Petersen, I. and Wood, A.M., 2018. Landmark Models for Optimizing the Use of Repeated Measurements of Risk Factors in Electronic Health Records to Predict Future Disease Risk. American Journal of Epidemiology, 187(7), pp. 1530-1538. Sackett, D.L., Rosenberg, W.M., Gray, J.M., Haynes, R.B. and Richardson, W.S., 1996. “Evidence-based medicine: what it is and what it isn’t.” British Medical Journal 1996, pp. 312:71. Siemens Healthcare. 2015. Thinking Healthcare Ahead. Siemens AG, Berlin and Munich. Zhang, Y. and Padman, R., 2015. Innovations in chronic care delivery using data-driven clinical pathways. The American Journal of Managed Care, 21(12), pp.e661-68. 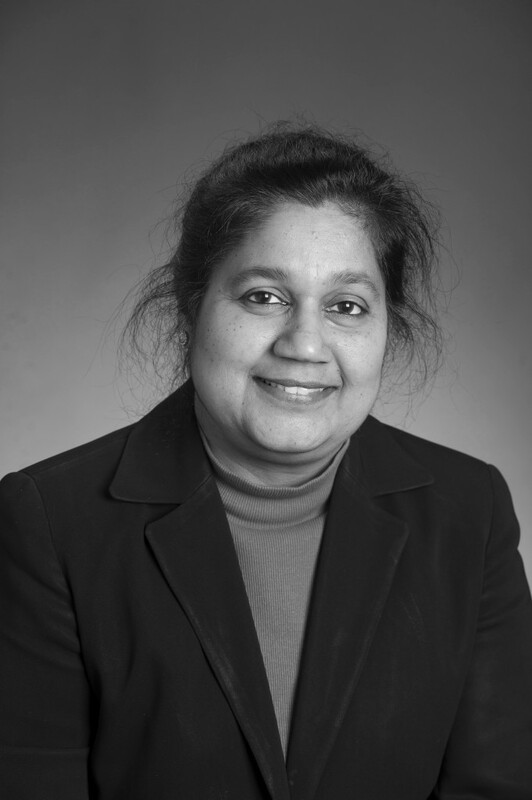 Rema Padman is Professor of Management Science and Healthcare Informatics at the H. John Heinz III College of Information Systems and Public Policy, Carnegie Mellon University.